If you are renting a home or apartment, you may be finding that many alarm companies won’t install a system if you don’t own the property. 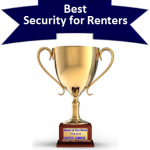 Following is our list of the best apartment security systems for renters. Each of our Top 3 Best Alarm Systems for renters meets the highest industry standards for professionally monitored security systems and provides service to homeowners, renters and apartment dwellers alike. Regardless of whether or not your priorities are to minimize upfront costs and monitoring, get the best customer service or install the most state of the art equipment, our top apartment security companies will meet the needs most demanding customers. A wireless systems is easy to install and requires no drilling, cutting holes or fishing wires. This is a must for apartment or rental properties. Apartment dwellars and renters typically more mobile and move more frequently. It is important that the system can be easily relocated. The best apartment security companies offer 100% wireless systems that can easily be moved, with no cost relocation. The best apartment alarm systems are monitored 24/7 by trained professionals. This means that, in an emergency, help can be dispatched around the clock. The brains of any apartment security system, the control panel arms and disarms sensors and sends a signal to the monitoring station in an emergency. Premium systems have touchscreen panels which are even more user-friendly. Link Interactive Treats Everyone the Same – Many home security companies will only deal with homeowners. Some companies will require renters to pay higher monthly rates or pay for 36 months of monitoring up front. Some companies require that you pay full price for equipment. Link Interactive treats renters and homeowners the same. If you have reasonably good credit and sign an industry standard 36 month agreement, they will give you a substantial discount on some of the best equipment available! In addition, the provide provide the same unbeatable professional monitoring rates. 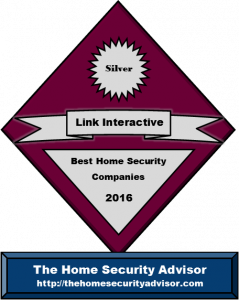 Superb Reputation – Even though they may not be a well known brand (yet), Link Interactive is considered as a Top Five Best Home Security Company on many review lists. Link Home Security is the Do-it-yourself security department of Mountain Alarm. They’ve been a regional security company for more than 60 years. Thay have an A+ BBB ranking maintain a 98% client approval score. Multi-dimensional Equipment and Monitoring Options – Link Interactive Security alarms emphasize some of the most state of the art 2 Gig Technologies wireless hardware, coupled with comprehensive monitoring alternatives. Link Interactive monitoring comes with Alarm.com’s revolutionary elements which include: Crash and Smash Protection, Geo Location Services…along with 2-way voice assistance. Uncomplicated, Competitively-priced Monitoring Prices – In conjunction with highly competitive monitoring rates, Link Home Security makes things very easy when it comes to their package deals. The “basic” Gold Plan includes cellular monitoring, Alarm.com interactive services, and Crash and Smash protection for one low price-$30.99 a month. You can add home automation for $5.00 a month. Want video? No Problem…just $5/mo. More. Link Home Security provides terrific back-up and support along with one of the more extensive security and home automation offerings on the market. They are surely among the best DIYapartment security security system providers- as they preovide the same great programds to homeowners and renters alike. For an in depth analysis, take a look at our Link Home Security Reviews or get a FREE Quote and see why Link Home Security is considered one of the best home security companies of 2017. Despite the fact that there’s certainly arguments to support any of our recommended security providers…Protect America offers a superior value for one looking for a security system for an apartment or rental home. Low Up Front Fees – Protect America makes it cost-effective for pretty much anyone to have a comprehensive security and home automation system, by minimizing the up front investment. They supply just about everything from your basic protection package to the Platinum Package along with as much as a $1400 worth of equipment with minimal up-front charges! Low-cost Basic Monitoring Rates– Should you be on a limited budget, or don’t need a lot of the special features, Protect America offers monitoring rates as low as $19.99 /mo. Their Copper Plan features the lowest priced monitoring price, employing traditional phone services. Additionally, they provide a standard security system-with minimal up-front equipment costs. Lifetime Equipment Warranty – The various products are warrantied provided that you remain a Protect America user. Rate Lock – Unlike most companies that contain escalation clauses which permit them to raise your monthly rates after the initial 12 months, Protect America promises that your particular monthly rate plan remain constant. Best Price Guarantee – Protect America ensures that you will enjoy the optimal alarm system for the absolute best cost. Discover a cheaper price on the identical program and they will match or beat it. Protect America provides low cost or FREE equipment packages, minimal up-front hardware expenses, a variety of monitoring solutions, Best Price Guarantee, Lifetime Warranty not to mention top notch support services. Protect America is certainly a superior choice when it comes to all around value! 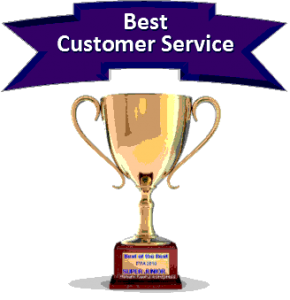 Exceptional Client Experience– Even though there are plenty of companies that can boast of an A or A+ BBB rating…it is rare to find one that continues yo exceed customer expecations as consistently as Frontpoint. Online consumer reviews are generally pretty positive. This is supported by the fact that 94% of their buyers would definitely recommend them. In contrast to nearly all of their competition, the sales approach is generally low key with virtually no pressure. Prefer Frontpoint…but, don’t want to be committed to three years? Frontpoint provides either a one or three year option. 100% Wireless– Frontpoint delivers only the most reliable products such as the respected GE Simon XT equipment (as well as a Qolsys upgrade) using 100% cellular monitoring. This prevents the possibility of an intruder cutting the telephone or cable lines to prevent an alarm signal to be sent to the monitoring station..
Superior Technology as well as Monitoring Features – Along with their comprehensive selection of available security, surveillance and home automation solutions, Frontpoint offers extremely advanced solutions as part of their Interactive monitoring service. Powered by Alarm.com, Frontpoint options integrate “Crash and Smash” protection and also Geo-Location Solutions. The former ensures that the monitoring station can be contacted even if the system is destroyed…and the latter facilitates revolutionary system automation functions determined by GPS cell phone zones. Transparency Coupled with Integrity– Unlike many security web pages, Frontpoint puts their cards on the table. Pricing is clear-and there won’t be any tricks or concealed costs. Frontpoint Security is so sure of their product that they’ll back it by their No Hassle Thirty Day Money-back Guarantee- without any shipping charges (either way) without any restocking charge! Frontpoint provides excellent support services combined with one of the finest apartment security systems in the industry. They back it up with a 30 Day Full Money Back Guarantee and provide an extensive selection of products that even includes security cameras and energy management options. Take a look at our complete analysis in our Frontpoint Security Review or give them a call for a free, no obligation quote.